How to Crack SBI PO exam in First Attempt. As we all know The State Bank of India (SBI) has released the official notification for the recruitment of Probationary Officers (PO). This year SBI PO Recruitment Notification invites application to fill 2000 Probationary Officers (PO) vacancies. Many of you would have appeared for this SBI PO Exam before, while a few would be going to attempt this exam for the very first time. The online registrations for SBI PO Recruitment 2019 start from 2nd April 2019 to 24th April 2019. The SBI PO Exam candidates, who are willing to apply for this SBI PO 2018 Recruitment, have come to the right place. Through this article, we are sharing strategy “How to Crack SBI PO exam in First Attempt” and also provide you the best Preparation tips and tricks and easy strategies that will help you to crack the SBI PO Exam 2019. 1. The Success Mantra: -”Practice makes a man perfect” Make it a habit to daily practice your weak sections and strong ones also. Practice each and every question type. This will enhance your speed also. Also you become confident while attempting the same set of questions in the exam. 2. Check yourself: –Before starting your preparation first check honest analysis of yourself. What are your strengths? Where are you good at? What are your areas of improvement? Where do you need more time to practice? 3. Speed and Accuracy: – It is the essential tool for clearing any Bank exam. Always try to attempt those questions in which you are sure of your answers. Prevent any negative marking. Most of the aspirants believe that Speed is the most important factor, but in reality, it is not. There are multiple factors that play important roles in SBI PO exam. Candidates, with average speed, have managed to perform excellently and have produced good results by perfecting their Accuracy. 4. Time Management: – The introduction of the sectional time limit in the prelims exam of SBI PO 2018 surprised many students. During the exam preparation and also during the exam, focus on the amount of time you take for a particular question. Students must remember that never waste your time attempting the questions you are not confident of solving. There are a lot of other questions to solve and score. Also, be careful with your selection of the questions. You are not under any compulsion to solve every question. 5. Online Practice tests: – These are the best way to check your performance. Online Practice Tests will also help you increase your speed, along with smooth and easy movement across sections. While doing Online Practice tests, focus on clearing sectional cut off and gaining high score too and also attempt the quizzes on a regular basis. 6. Clear all Doubts: – Doubts should be cleared as and when they arise. If you have a doubt or any concept is not clear, then clear it with your mentors or with your friends. Spot your weakness and work on it. 7. Proper Planning: – It is an important step for any of exam. If you do not plan your preparation for exam correctly, you make a terrible mistake. Before appearing in the exam all you need to know the complete SBI PO Exam syllabus for examination. It is important to know the latest pattern of the exam before appearing for the same. 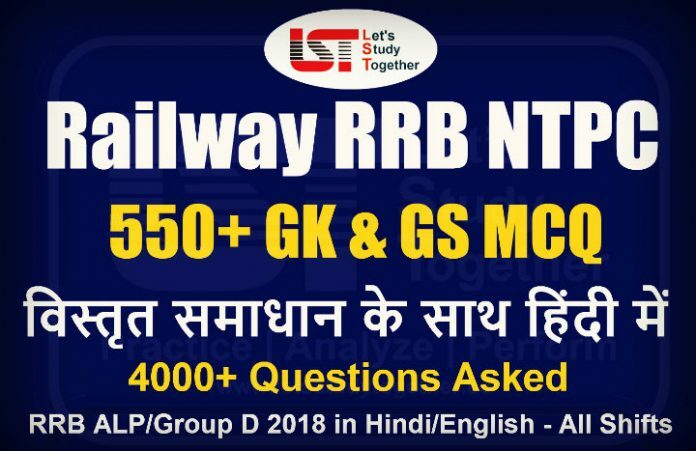 Check SBI PO Previous Year Questions Papers and memory based papers for an exact idea of the exam. Make small notes while preparation like shortcuts, formulas, tricks, important points for last time revision. Analyze SBI PO Previous Year Cut-Offs. Do not spend more time on a single topic. It is one of the easiest sections of the SBI PO Mains Exam. All you need to cover Current, Banking (Economy) & Static news of last 4-5 months.To score maximum marks in this section, make a habit of reading & revising the news on a regular basis. Try to cover news from different topics like- Banking Terminology, Recent RBI News, SBI Bank in News, National + International News, Sports News, Awards, Summits & Conferences, Schemes, Agreement & Deals, etc. Click Here to Download Important Free PDF for Current Affairs and Banking Awareness. Click here for latest GK & Current Affairs. In English language section always starts the section with those questions in which you are confident. This will boost your confidence in the exam never try to attempt those questions in which you have doubts. You should always start with those questions in which you have good command and which seems easy i.e. – Cloze test, Para jumble, Fill in the blanks & Spotting Error, Sentence Improvement, Reading Comprehension. It is the most avoided and least prepared section. If you are weak or average in this section then the one solution is to make a habit of practicing English Questions on a regular basis. Reading Comprehension – Practice 2 sets of RC on a daily basis. You can consider reading the questions first before reading the passage. While reading the passage itself, you will be able to mark the answers and all questions will be done in only one reading of the passage. Cloze test, Para jumble, Fill in the blanks & Spotting Error, Sentence Improvement (Old & New Pattern) – Practice 5 sets of each topic on a daily basis. Note: – Develop reading habits, and start reading a newspaper. This is very important for you to include in your daily routine. Reading habits will help you understand the reading comprehension quickly and answer the question easily. You can also read LST Daily Vocabulary Builder from The Hindu Editorial and also download Daily Newspaper & Editorial of All Newspapers. At present reasoning is the most difficult section in any of the banking exams and we expect it to be the same this time too. Some students don’t know how to tackle this section and always start with the first questions or with puzzle type’s questions but this is not the smart strategy. Coding Decoding based on the new pattern. Data Interpretation & Analysis has always been the most difficult section in the banking exams. Most of you may be comfortable in this section but never be overconfident which may harm you in the exam. If you are average in this section then make a habit of practicing this section on a regular basis and cover all the important topics. The Descriptive Test was conducted in online mode. Questions were displayed on the computer screen. The descriptive test was consisting of two types of questions i.e. – Letter Writing & Essay Writing. Develop reading habits, and start reading a newspaper. This is very important for you to include in your daily routine. You can write on the Editorial Topic which you read in the morning. 9. Believe in yourself: – Before appearing in an exam, candidate Believe in yourself because if you dream it you will make it sure. Crack Bank Exams because you “want” to and not because you “have” to or “prove” yourself to someone. Hard work never goes waste. It always repays well in some form or the other, sooner or later. Online Examination is an exam which needs preparation and also smartness. Feel free – You should have to go for SBI PO preparation strategy with an open mind. 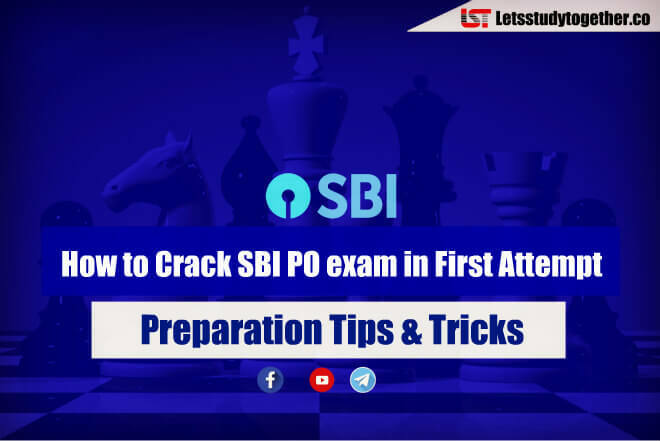 We hope that this detailed article on “How to Crack SBI PO exam in First Attempt – Preparation Tips & Tricks” helps you to plan your preparation. Feel free to post any doubts in the comment section and we will help you out. You may also share your doubt and query at support@letsstudytogether.co .